Blogging and philosophy | Welcome to allaboutwordswa! Each chapter has gems of wisdom but the one that struck me this week was in Chapter IV. 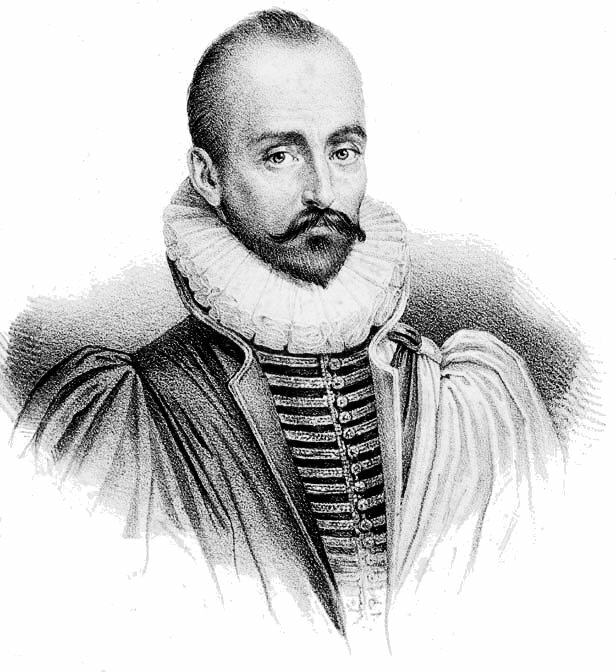 The philosopher is Michel de Montaigne and the year is around 1500. Montaigne spends a good part of his life in his library studying philosophy, history, poetry and religion. Montaigne believed that friendship was an essential component of happiness however he only ever has one close friend who died only four years after they met. I am leading up to the point that spoke to me…. “Many things that I would not care to tell any individual man I tell to the public, and for knowledge of my most secret thoughts, I refer my most loyal friends to book sellers’ stall”. (page 148). I enjoyed de Montaigne at Uni, Lorraine – and I agree, he was the archetypical blogger. I’d better get a copy and see what I have been missing out on. Thanks for clicking thte like button on my blog., Lorraine. It’s good to know you stopped by. Sounds like a book worth reading and re-reading! Thanks for sharing. Thank you for this quote. I’m listening to the book in audio form, and I couldn’t get it all. Thanks for visiting. It really IS a great book and one I often recommend to others – especially for those with a broken heart! P.S. I should have mentioned that I’m listening to the book for the fourth time. I agree with you that it’s really good.